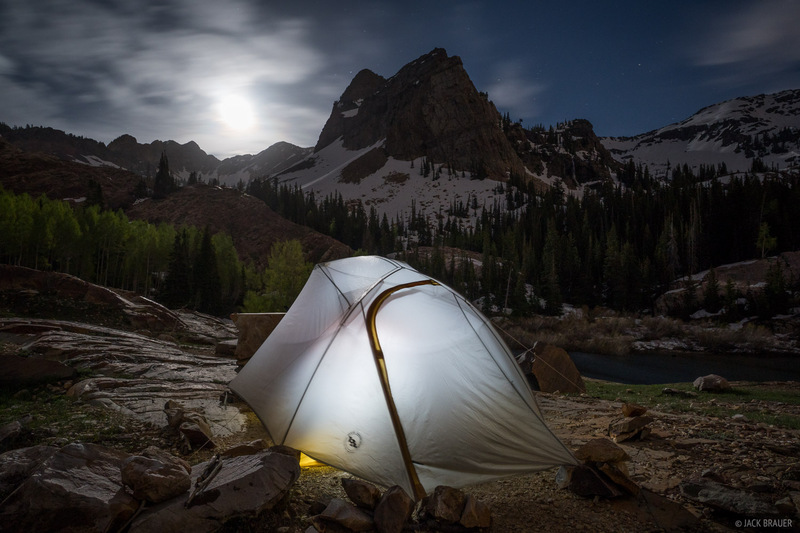 In early June we did a quick overnight backpack hike from Big Cottonwood Canyon to Lake Blanche and Sundial Peak, in the Twin Peaks Wilderness of the Wasatch Range in Utah. Though the wind was relentless during our stay, we had fun exploring this lovely basin and enjoyed a gorgeous sunset and moonrise above the lake. 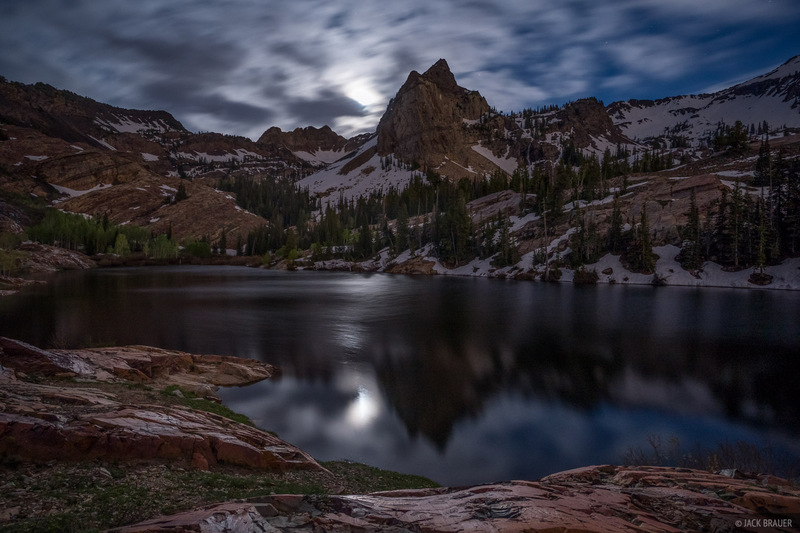 A nearly full moon rises behind Sundial Peak and Lake Blanche. Photo © copyright by Jack Brauer. This was the second time we've hiked up here; you can see the photos from our first time at Lake Blanche here. 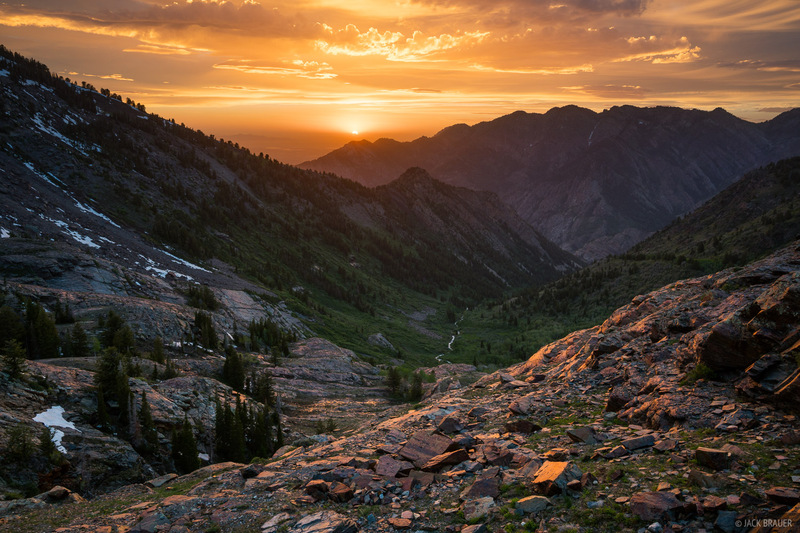 Posted in Backpacking & Trekking and tagged Utah, Wasatch.